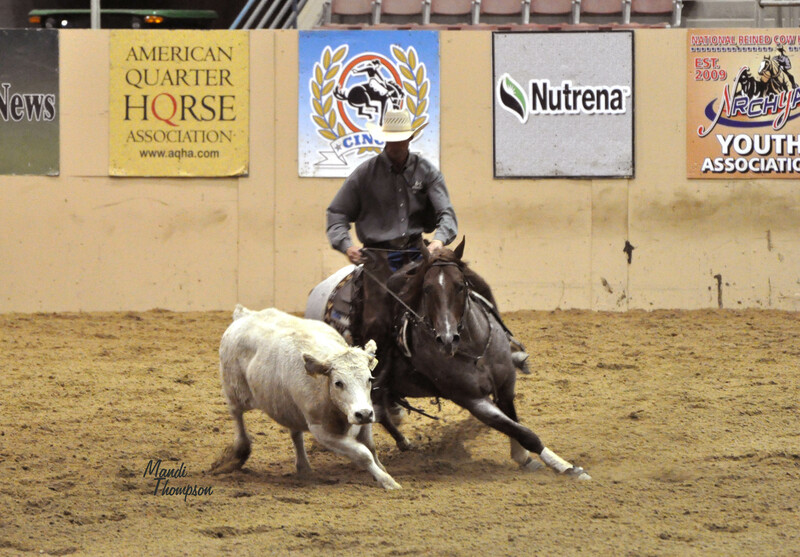 We headed up the hill to Reno, Nevada to go to the 2011 NRCHA Snaffle Bit Futurity. 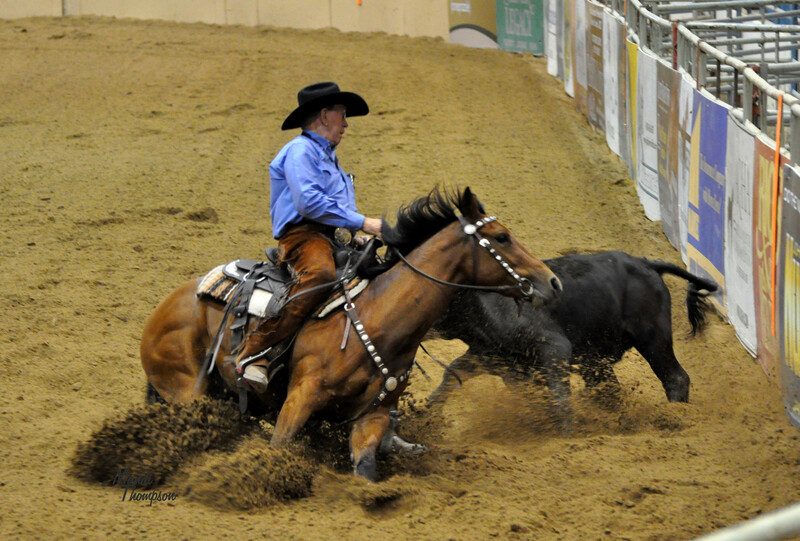 It is the place to be for any western horse enthusiast this time of year. 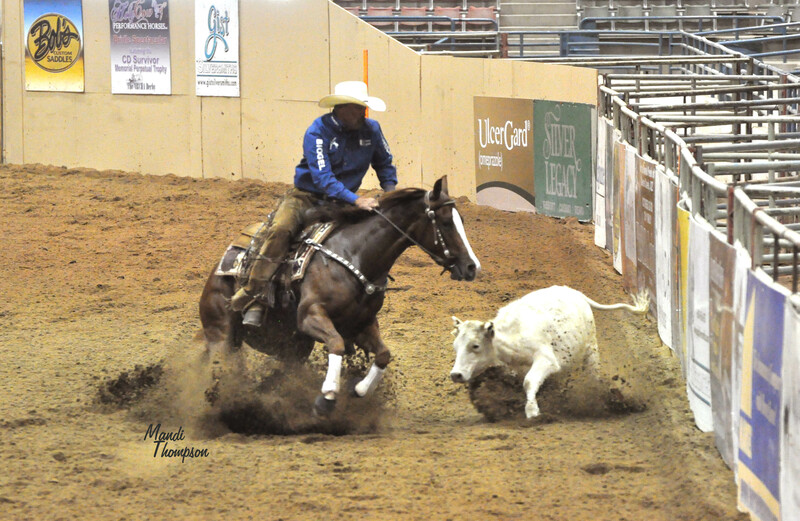 While the show includes several classes for working cow horses, the real draw is the Finals on October 2nd. 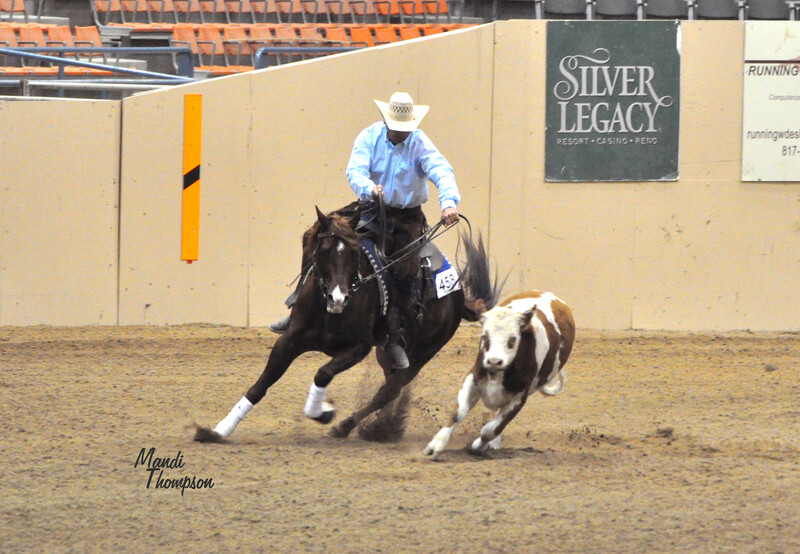 The best 3 year old horses compete in the “Greatest Show on Dirt” in herd work, rein work, and cow work. We watched some of the prelim runs of the cow work. 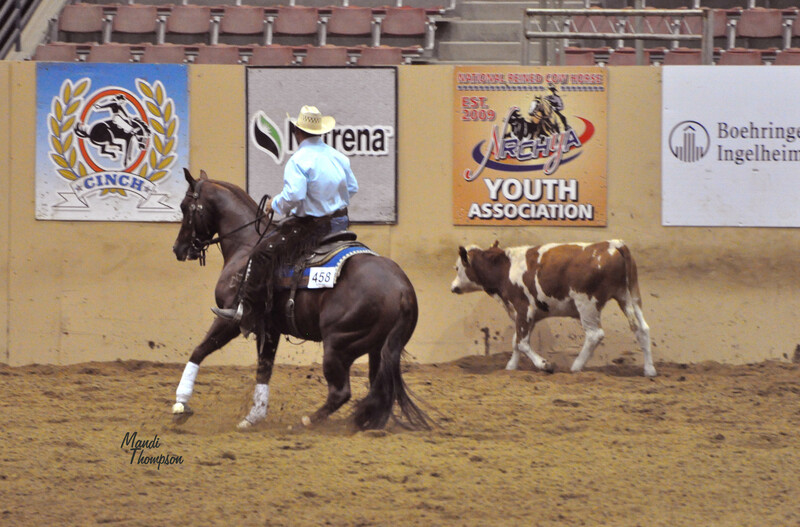 The horses have to cut or box one cow at the end of the arena. Then they run down the fence line and turn the cow both directions on the fence. This is probably the most exciting part, and possibly the most dangerous. 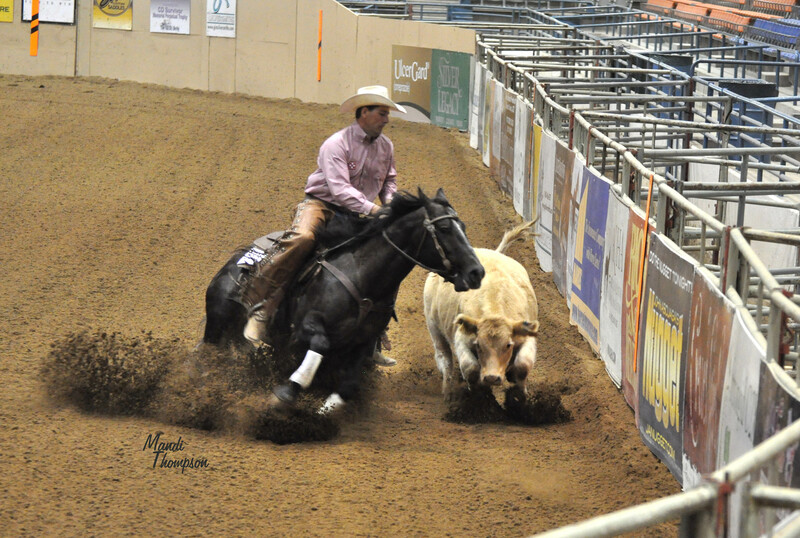 The most problems occur when a cow does not turn like it is suppose to, or ducks out at the last second. 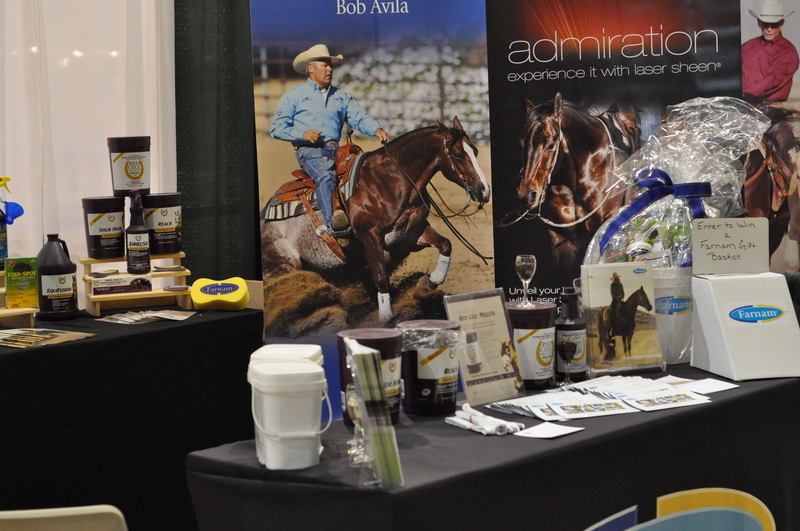 After watching a few runs, we walked around the arena where you can find shopping, equine product information, and breeder’s information. 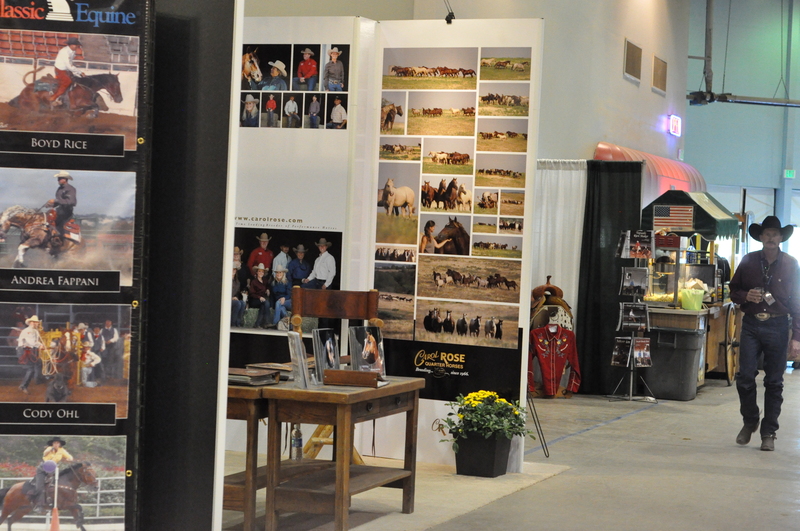 Carol Rose always has a prominent position here, and her display featured huge pictures of their horses. She was sitting on the side of the arena with a laptop, keeping track of the results. 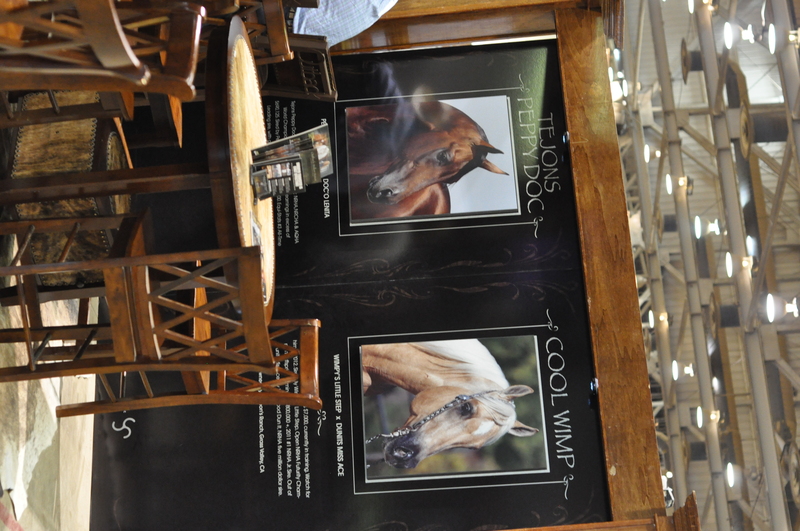 Other booths included beautiful wooden frame work and western themed furniture. 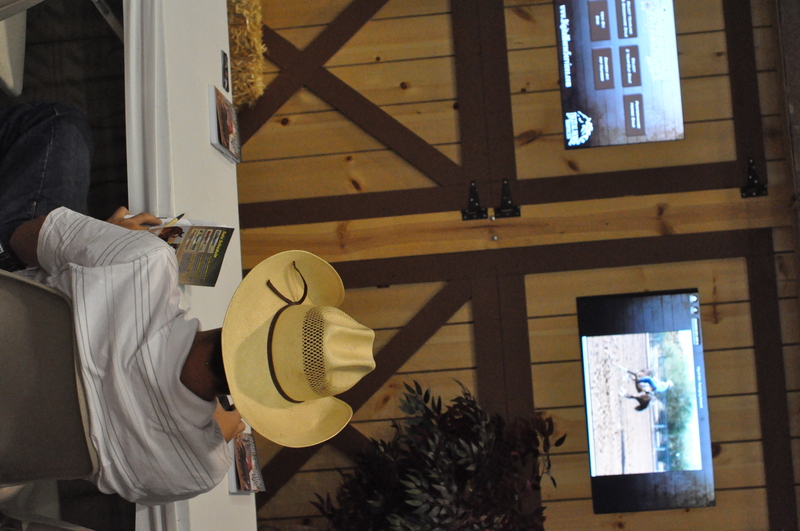 If you are looking for a prospect, there is a viewing area to watch videos of the horses entered in the sale. 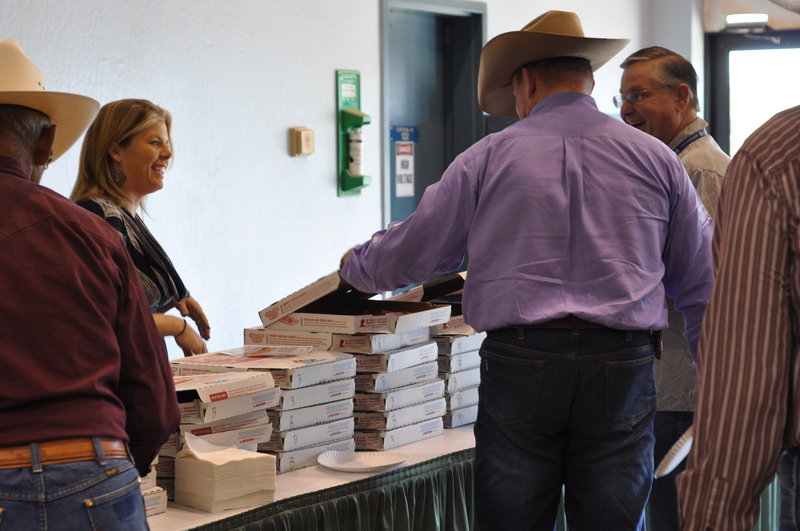 The show takes good care of it’s exhibitors with a pizza party in the main arena. What a great way to take a break before getting back to the hustle and bustle of the horse show. 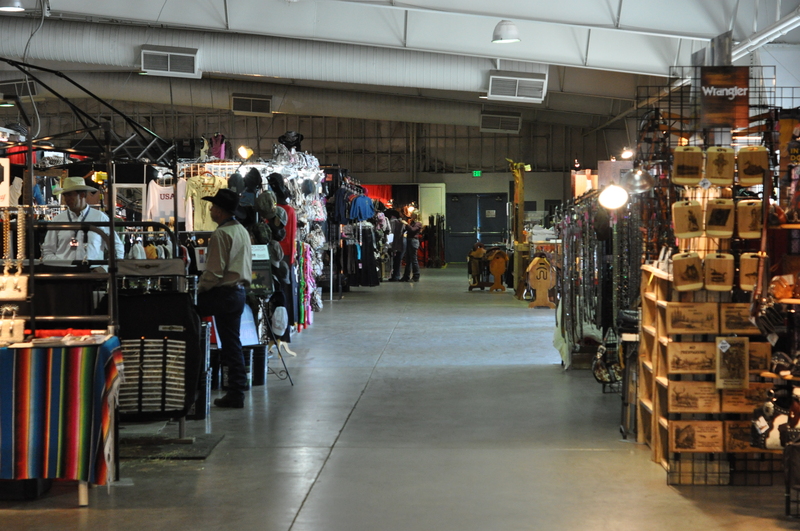 The shopping is always jammed pack with great quality tack, gear, art, and clothing. Want individualized shopping attention? During the week is a great time to shop, you practically have the place to yourself! 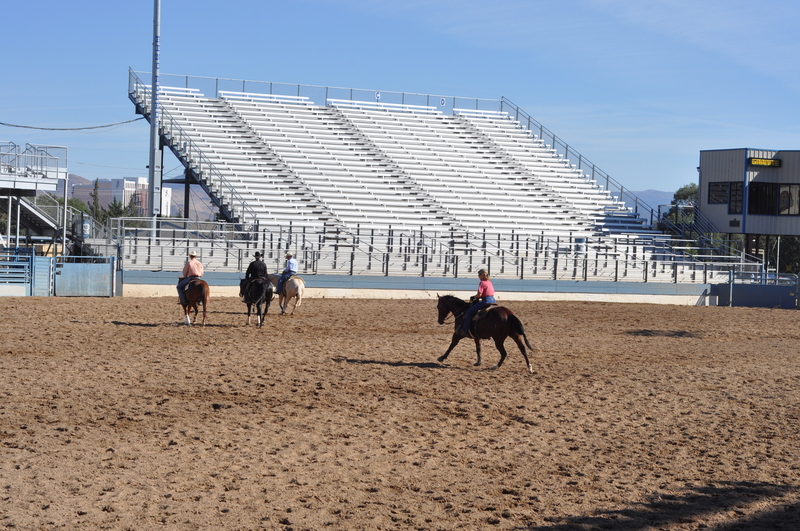 On our last stop of the day we went by the warm up pen and watched a few horses worked. 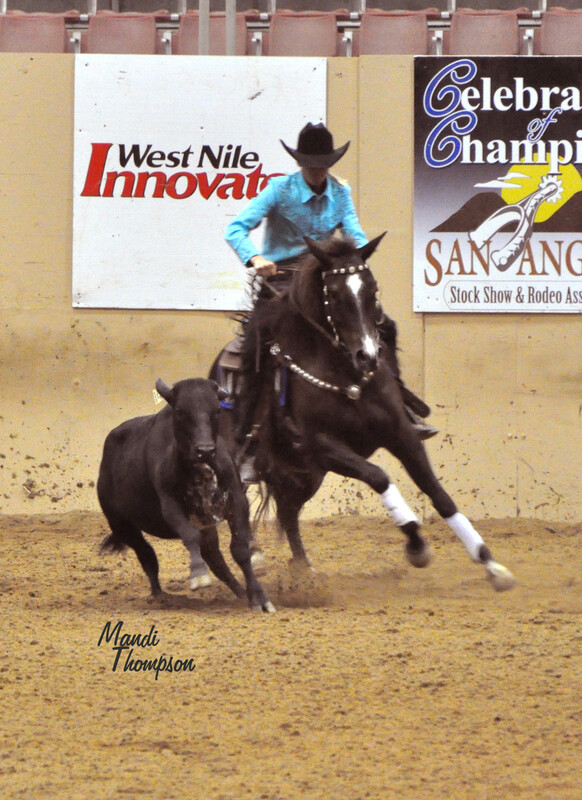 If you want to see more pictures from our day at the Snaffle Bit Futurity head over to the facebook page here. Do not forget to hit the like button while you are there!